Rob retired in 2005 as the Associate Director for Operations, the number two position within the ranks of the clandestine service, and worked in the private sector as a corporate vice president and then a CEO. He currently consults on the Middle East and related topics. Besides following Rob around the world, Kim delivers Meals on Wheels, leads church outreach, and has organized fund raising efforts for children around the world. She has administered an English as a second language program and participated in a mission trip to Sierra Leone, Africa. Kim also participates in the ONE organization, which works to end extreme poverty. Rob, aged 56, is a native of Detroit, Michigan. Kim, aged 49, is a native of Yorkville, Illinois (yes, Rob was a cradle robber!) Kim and Rob have three children: Samantha, a recent college graduate; Elias, a Corporal in the Marine Corps; and Rogan, a freshman at Old Dominion University. Penny Payne will be the primary support person traveling with Rob and Kim on their trip. Penny joined the CIA as a secretary in 1973. She met her husband, Charles, at the Agency and spent 12 years following him around the world with assignments in Europe, Africa and Asia . In 2001, Penny began working with Rob as his secretary and later Special Assistant. She retired from the Agency shortly after his retirement in 2005 and in 2006 served as his assistant in the corporate world. She retired once again in 2008 to spend more time with her husband and family and now works part-time as an Independent Consultant. Penny has as a step-son and step-daughter and she and Charlie have three grown children, 2 daughters and a son. Their youngest son is currently serving in the Marine Corps. Matthew Devost is a technologist, entrepreneur, and international security expert specializing in counterterrorism, critical infrastructure protection, intelligence, risk management and cybersecurity issues. Mr. Devost was a founder of the Terrorism Research Center, Inc. (TRC) in 1996, where he served as President and CEO until November 2008. He had the opportunity to work closely with Rob when they created and co-managed a private risk intelligence firm. Matt is married with three young children and resides in Northern Virginia. Matt’s complete bio is here. Bill Harlow is the volunteer “Pedaling for Patriots” PR Czar. 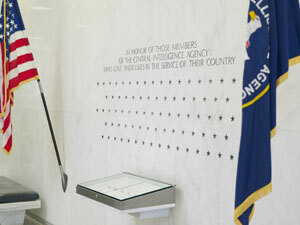 He was Director for Public Affairs at the CIA for seven years and spent 25 years in the United States Navy, including four years as Assistant White House Press Secretary for National Security. He now consults in the private sector. His complete bio is here.